I wore this out while running around to meetings while I was in New York, I wouldn't necessarily recommend the shoes if you're doing heavy walking in the city but they sure do look killer. When traveling I usually try to consolidate and take more versatile pieces; these boots being one of them. They can instantly take you from day to night and add a nice edgy flair to a rather feminine dress. Definitely an ideal piece for looking chic on a quick trip! 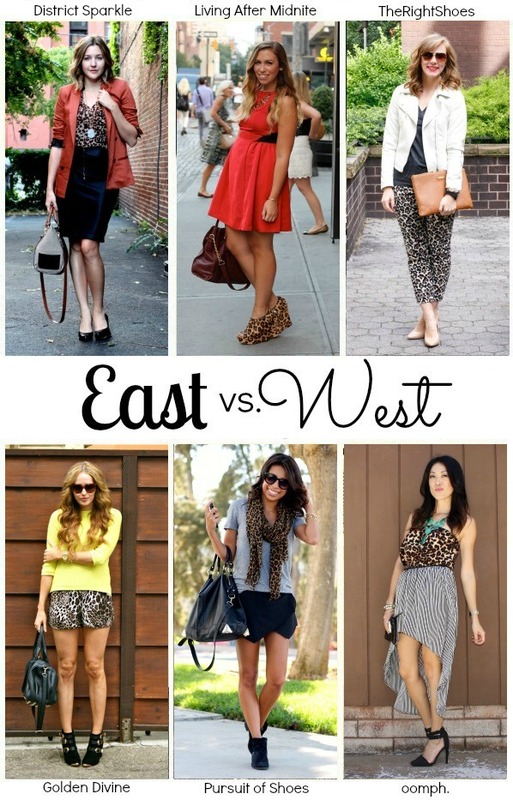 So excited to announce that I am teaming up again with some of my favorite bloggers to bring you the East vs. West Style series. This week it's all about leopard print; which is now considered a neutral in my closet. Yes, it should be in yours too! See how these fab ladies styles the leopard trend: Meaghan from District Sparkle, Jackie from Living After Midnight, Tracy from The Right Shoes, Ashley from Pursuit of Shoes. Found you on District Sparkle for the challenge and I had to say I LOVE LOVE LOVE your booties! love this! the west is so much more laid back! such a cute outfit! 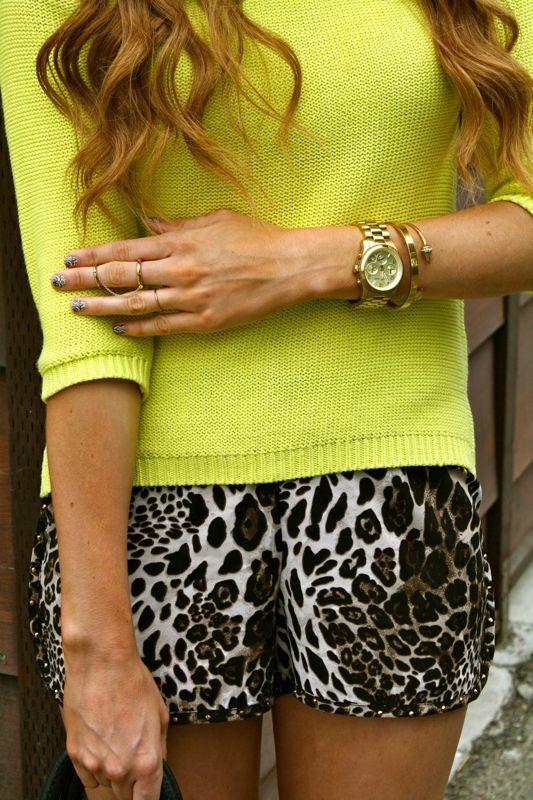 absolutely love those leopard print shorts and the pop of neon is flawless!